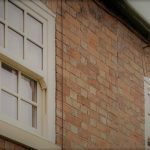 National energy prices are continually of the rise and if you feel like your double glazing windows are looking a little old or tired they are more than likely inefficient and could be costing you hundreds of pounds in heating bills each year. 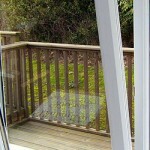 H and R windows cover Falmouth and our double glazing Falmouth solutions could be just what you are looking for. Replacing your double glazing windows is probably the most efficient way to reduce your expensive bills. Cheaper bills is only one of the benefits of replacing your Double Glazing, it will also make your property more valuable, considerably cut noise pollution, cut out condensation and high security locking mechanisms will add security to your home. Our window experts can help you with everything from the design of your windows right though to the installation process. Our windows come in unlimited style and colours with a choice of frames. 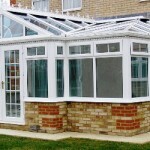 We also offer a Triple glazing Falmouth solution and there is no obligation at all when you request a quote. Everything can be bespoke to make your Falmouth home look and stand out from the rest. All of our double glazing Falmouth solution windows come with a manufactures guarantee. We also offer free quotations and we are always here to help you with free advice so do not hesitate to contact H and R Windows. So if your looking for a reduction in your energy bills whilst keeping environmentally friendly, double glazing replacement is by far the best way to go. 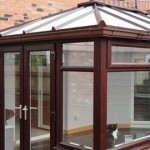 All uPVC windows completely surpass hardwood and aluminium options with their superior quality. Remember that we do not just cover Falmouth. We cover the whole of Cornwall and parts of Devon and our quotes are always accurate and we we pride ourselves on offering a quality service that can be tailored to suite a range of budgets.